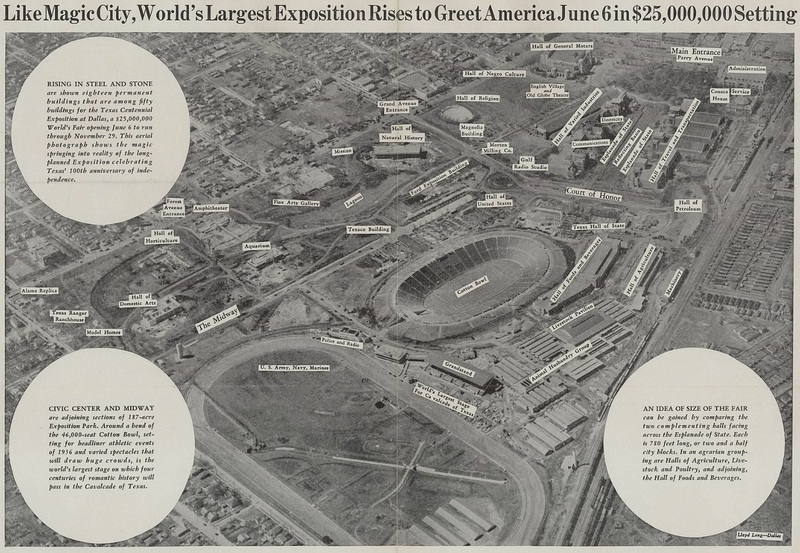 Here is an aerial view of Fair Park I’ve never seen. 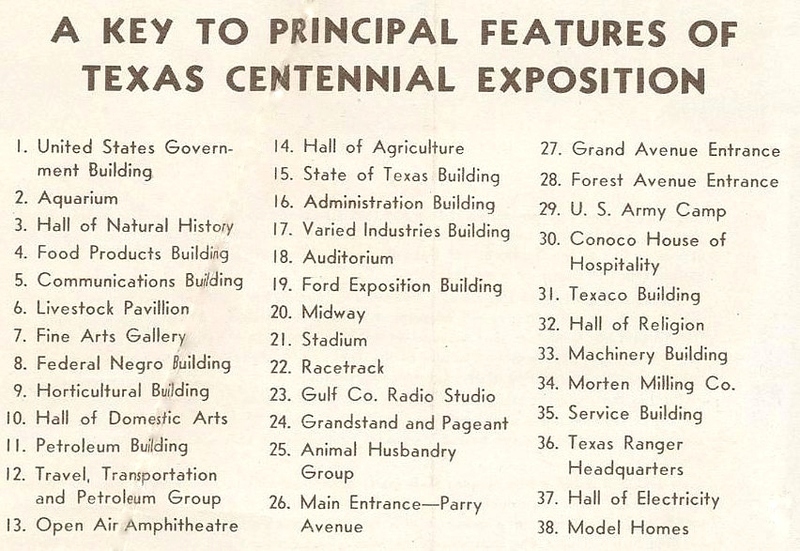 It shows Centennial buildings under construction, along with labels marking the locations of those not yet started. It’s always hard to place where some of these no-longer-standing buildings once stood, so this is very helpful. Click the picture to see a larger image, but to really zoom in on the photo, see it at the Portal to Texas History, here. 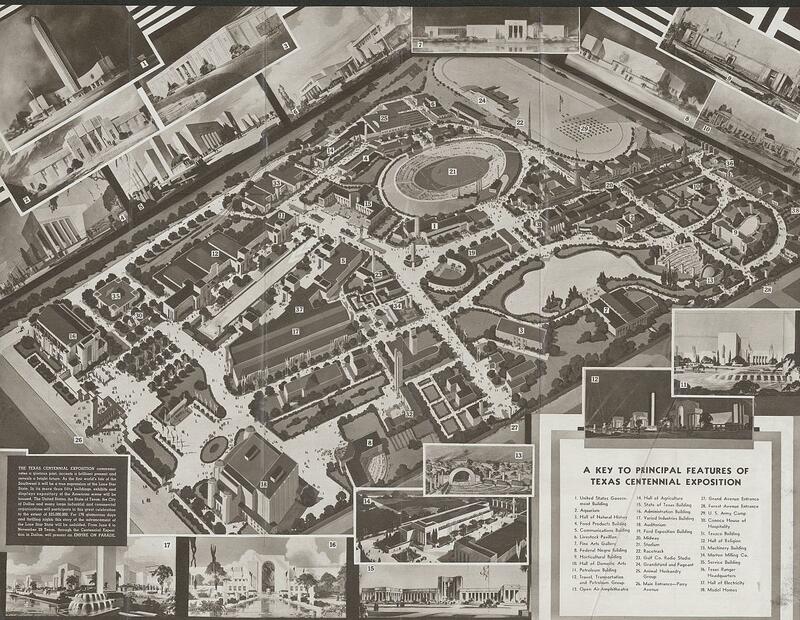 Below is another view — an illustrated map from a Centennial visitor’s pamphlet (the zoom-in-able image is also at the Portal to Texas History, here). It was an early illustration, as it shows the original design for the Hall of State with wings never built. And here’s Shirley Temple — who might have been the most famous star in Hollywood at the time — dressed in a snazzy cowboy outfit and an eye-catching pair of boots. 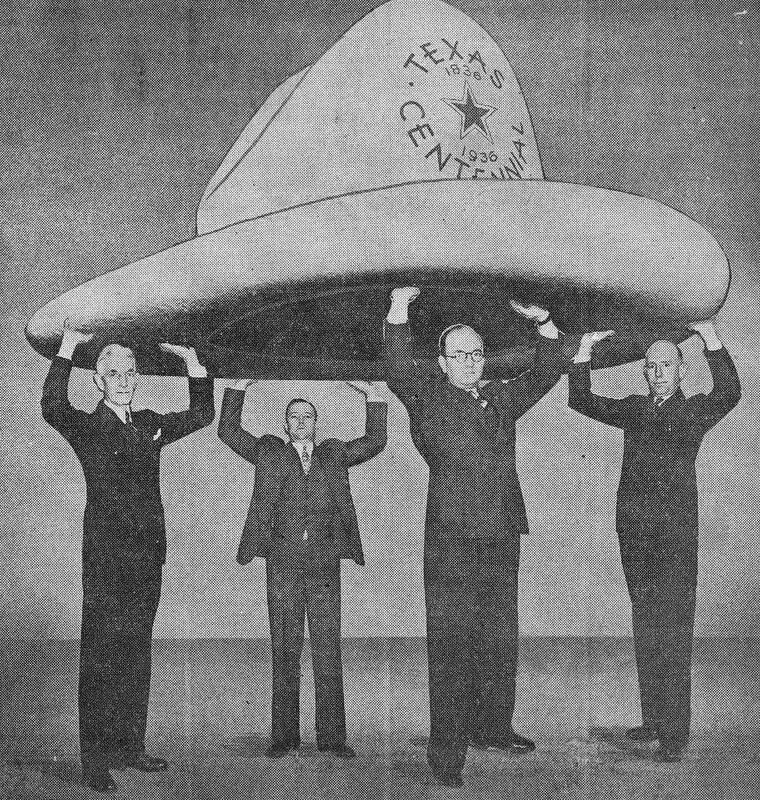 She had been appointed honorary Chief of the Texas Centennial Exposition Rangerettes (a bevy of attractive Texas women who acted as goodwill ambassadors and made personal appearances all over the country promoting the Dallas Centennial). Miss Temple’s honorary commission apparently came with a tie-in merchandising deal — see the official Shirley Temple with her official Shirley Temple doll below (the latter photo was not from Doris’ scrapbook). 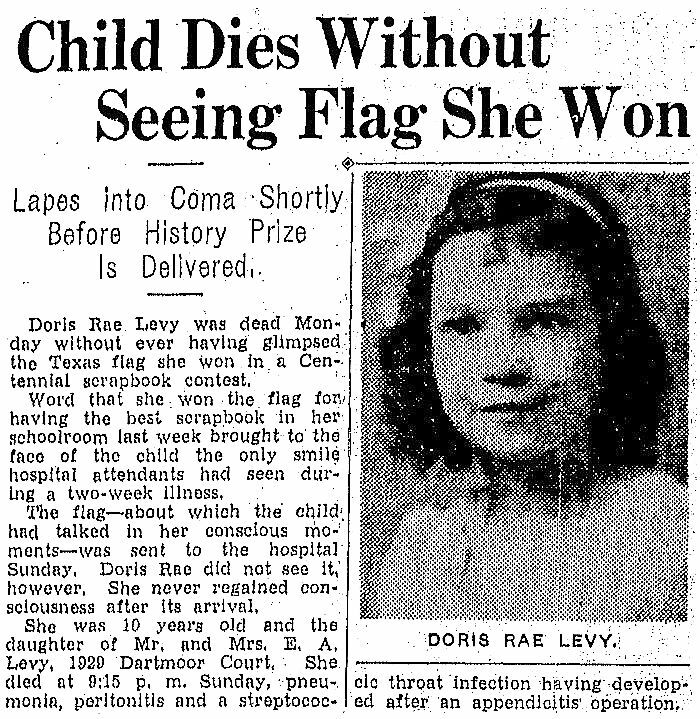 Doris Rae Levy’s “Texas Centennial Scrap Book” was provided by the Fort Worth Jewish Archives to UNT’s Portal to Texas History; it has been scanned and may be viewed in its entirety here. 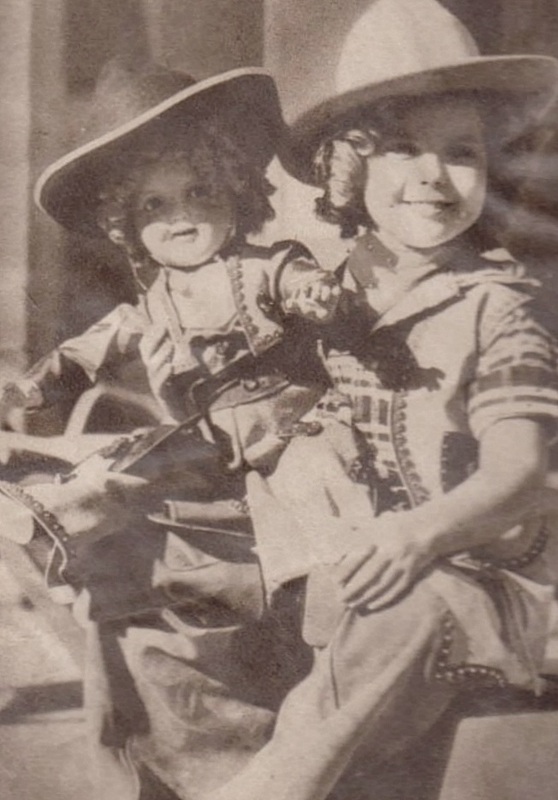 The photo of Shirley Temple with the Centennial Rangerette doll was found on Pinterest, with the original image here. Color images of the doll can be seen here.